Are you looking for an LED mini light string that has an elegant lens shape? The M5 or mini ice has the look of a small icicle making it ideal for indoor or outdoor applications where the lights are taking a center-stage. These LED Christmas lights have uni-body construction. That makes them water resistant. It also means that you can't change out the light or switch colors. We bought, liked, and reviewed our original purchase two years ago. One strand failed out of warranty, and David couldn't have been nicer in reserving a replacement for us with his next shipment. He even offered to work with us on pricing. We declined as a way to thank him for his outstanding service. Replaced my conventional white tree lights this year. The M5 lights were a pretty good replacement -- a little bigger than the old ones, with a slightly different lights. I thought they looked like fireflies. I love that the light is so cool I can leave them on all the time. Five strings of lights covered our usual 7' tree -- I'm going to buy one more, just for those times the tree is a little bigger. Looks great, and a wonderful warm white. Painstakingly, removed all the old light strings on my mantel garland and wreath from frontgate because I could not find replacement bulbs. These string of lights look great and I am hopeful they will last a long time since they are LED. I have been reluctant to purchase LED because they are never as warm and pretty as the standard lights I am used to - alas tradition is difficult to change. However, these are fantastic, not blue, not too dim - just a warm bright light!! I have switched all of our lights to these - indoor and out! Q: can you connect a string of m5 lights with a string of c3 lights? A: To be on the safe side, I'd run an extra extension cord or run them out like a T from th end of the cord instead of in series with one another. Q: Hi, I've been waiting a while for the 50 Warm White M5 Mini Ice LED Christmas Lights on Green Wire Product #: LED-41593R-PB24 to be in stock again. Do you have any idea when they will be in stock. I have some other products picked out that I am going to order and would like to add this product to the order and take advantage of the $7.99 shipping special. Do you think they will be in stock before the shipping special expires? Thank you. A: Thanks for your question. I'm sorry this light string is out of stock. Our new stock for each season arrives around July. Delivery timeframe can be affected by customs and transportation issues but late July, early August is a good estimate. 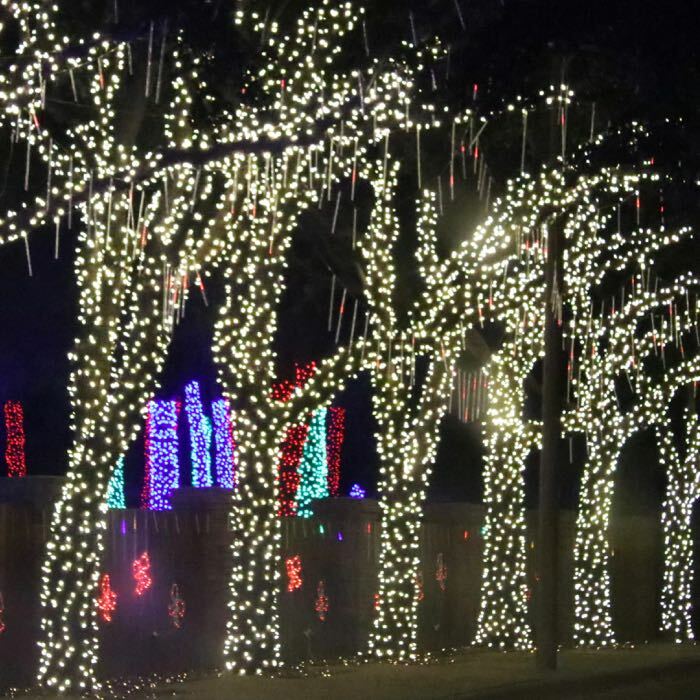 If you need your lights sooner than that you might consider an alternative set. We carry this set with replaceable diodes. That might be a good solution if you are starting fresh and aren't adding to an existing display - the color of the two sets is slightly different. You might also take a look at our entire category of warm white LED lights - there may be another shape that will work for you. The Smooth M5 and C3 shapes are both really pretty. 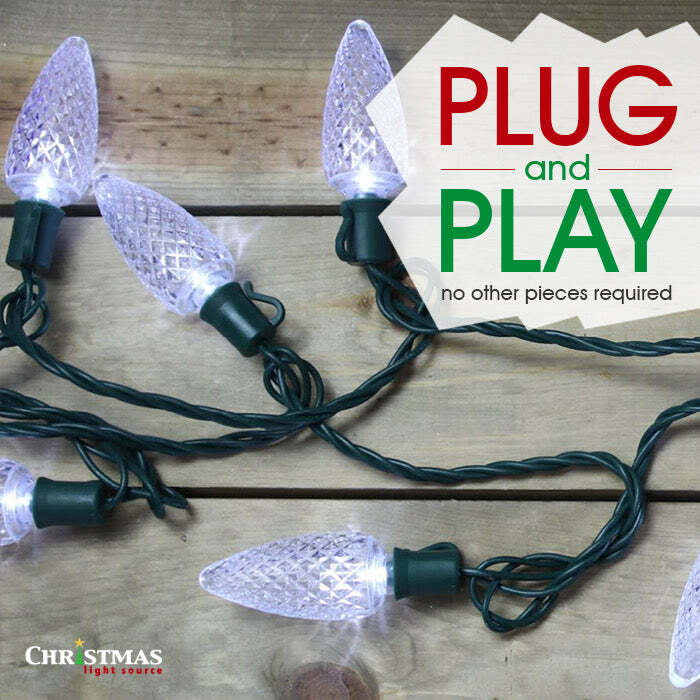 All of our warm white LED light strings.